Our geo-targeting uses your current location in real-time to match you with the best local businesses based on what you’re searching for. When you’re in a new area, our network automatically resets your location*. So, whether you’re looking for a type of business, a specific shop, or for great local deals, you have the freedom to make the best purchasing decision available. If you know you’ll be in a new area in the future, you can also manually set the location you want to search in and we’ll find the best of what’s nearby – it’s as easy as that. * Your settings must allow USdirectory’s website access to your current location. Are there any offers I can’t see? Yes. Some of our merchants create exclusive deals that only their most loyal customers can see. When you follow a business on our network, you can see their hidden offers and opt-in to get an alert as soon as the new deal activates and is available for use. Start following businesses you’re interested in, so you don’t miss an opportunity to get the best deal on what you’re already looking for. Can I leave a review for a business? Yes, of course! Business owners want to hear from you. The more feedback they get, the more they understand what you and other customers are looking for and need. Just like you let a business know when something goes wrong, letting them know they did something you loved helps them continue to provide great service and become even better. It’s a win-win! I made a purchase online, how do I redeem it? Businesses set up different types of offers. Your purchase may have triggered an email with a redemption code, QR code, or barcode that you can use online or in-store. To find out exactly how to redeem your offer, contact the business and they can walk you through exactly what you need to do. How can USdirectory help my business? USdirectory can help your business flourish in your local market by improving your search visibility, helping you gain increased online presence to reach more customers, and providing you with the right tools to manage your online brand reputation. Is USdirectory any different than other marketing platforms? USdirectory provides a complete, integrated toolkit in one easy to use interface, with clear, real-world results. Instead of using multiple services to tackle different parts of the same goal, we make it easy to post enticing promotions, push them to your social media platforms or target select consumers, all from one place. Not ready for a particular tool? No problem, our features are just as scalable as they are powerful. We also provide a central hub for all your reviews online, helping get the good ones populated across the web and spread the word out about your business. In some cases, you can even intercept a potential bad review to reverse that feedback and provide great customer service, while also making sure it’s never even published. Is someone “following” your business? Great - you know exactly how to get in touch with them, and their information is on display for you unlike other platforms. All of this is supported by our mobile-friendly site, which is highly ranked, helping display and publish your business information better to get you found by local shoppers, all at a fraction of what others charge. Does using USdirectory take a lot of time? We understand you have a business to run, that’s why we’ve made USdirectory as easy as posting an update on Facebook. With USdirectory, you can monitor reviews and listings, communicate with customers, and create special offers within minutes. Did we say Facebook? You can even skip the step of posting those offers in multiple places by letting USdirectory push your offers directly to Social media! USdirectory actually costs less than what you may think. We’ve bundled several services into one easy to use platform, making it affordable for all business types and sizes. For more details on specific packages, pricing and what is included, contact our customer success team at 800-842-1499. What if my business needs happen to change in the future? As your business grows, so do your needs. It’s our goal to make sure we deliver exactly what you need, when you need it. That’s why our services are designed to support you along the way, helping you grow every step of the way. What if I don’t know my username and password? You should have received your login credentials in your email after you signed up. If you’re not sure what email you provided or are having trouble logging in – please contact our customer support team at 800-842-1499 to help you get back into your account. If you reach us after hours, please let us know a good time to reach you and we’ll follow up with you then. 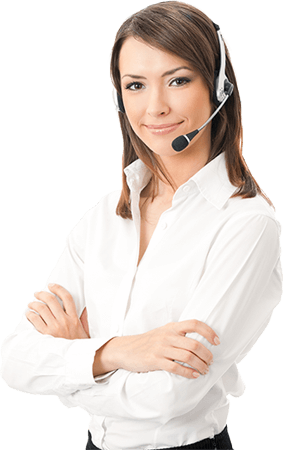 Your customer success specialist is available if you need urgent help or have some questions and concerns about your setup process. Thank you for choosing USdirectory!